Make your garden an exciting playground with Westland Play Sand. 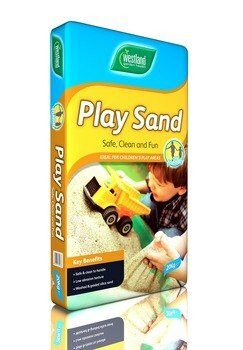 This sand provides a safe and clean environment for your child to have hours of fun. Perfect for garden sand pits. Westland Play Sand is specially selected washed and graded silica sand, ideal for use in children's play areas. Its low abrasion texture provides a safe, clean, fun environment for children which is non-toxic. Unsuitable for children under 18 months.